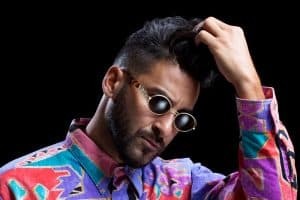 Armand van Helden (born February 16, 1970) is an American DJ, record producer, remixer and songwriter from Boston, Massachusetts. He was one of the main proponents of the speed garage genre, remixing various artists such as Katy Perry, Daft Punk, Britney Spears, Enrique Iglesias, David Guetta, Sam Smith, Bloc Party, Janet Jackson, Juliet Roberts, KRS-One and Sneaker Pimps, among others with this musical style. He is closely linked to the electronic music scene of New York, however much of his chart success has been in Europe, particularly in the United Kingdom.